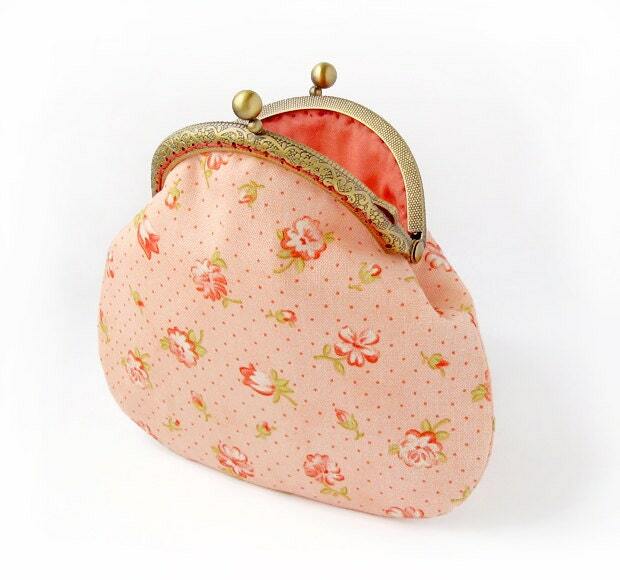 This coral romantic purse is made with 100% cotton designer fabrics pastel colors with pink flowers. There is a layer of cotton padding in between for added softness. Glue is not used. I sew thread to the frame for strengthening. It's elegant gift for a expensive person! All my handmade items are high quality. Ready to ship.